Say what you want about Nike. Their marketing is resonating in ways that other brands fall short of when it comes to diversity. Unless it’s completely passed you by, you would have heard about Nike making Colin Kaepernick the face of their 30th-anniversary campaign. The African-American football star has been a thorn in America’s far right side for ‘taking a knee’ during the national anthem to protest police brutality against minorities. In a world where corporates continue to make some serious clangers such as H&M’s faux pas dressing a black boy in a monkey costume, Pepsi’s Kendall Jenner incident and Grazia’s attempt to erase actress Lupita N’yongo’s Afro-textured hair, it’s refreshing to see a campaign of this nature delivered successfully. This campaign is not the only one steeped in people’s desire for equality, diversity and consciousness. Nike are also working towards zero waste, released an advert celebrating Mexican women and produced a new trainer with the basketball player, LeBron James, that celebrates Black women . If they’re doing all of this to make money and are actually doing the work, I’m all for it. Despite its resonance, I’ve seen some criticism of the brand. 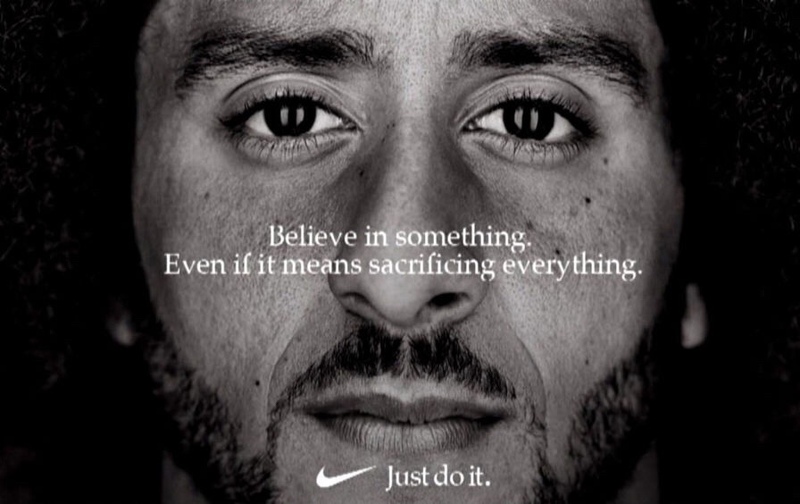 A personal favourite, Trevor Noah, and online platform, The Nation, both raise valid points about the hypocrisy in Nike’s business practices and encourage people to remember the brand’s commercial objectives. I’m not trying to address the operational side of their business nor the risk to people’s moral compass being skewed by an implied social conscience. I’m celebrating Nike’s team of marketing professionals being so on the money in more ways than one. Nike is known for their more challenging campaigns that border on the controversial. This latest one is no different. 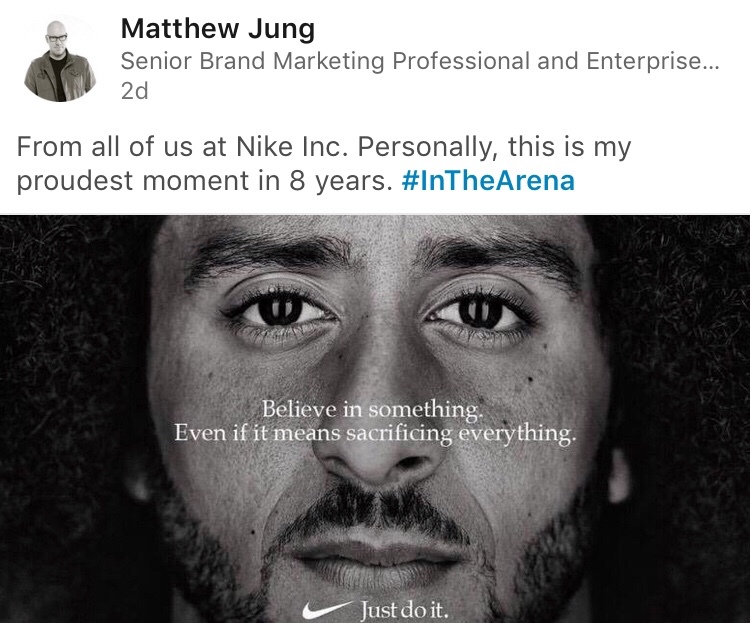 They also know their audience, tailoring their marketing efforts to those that bring Nike to their $91 billion status. Engage and empower your marketing and communications teams to research, connect and communicate with your audience on your behalf.